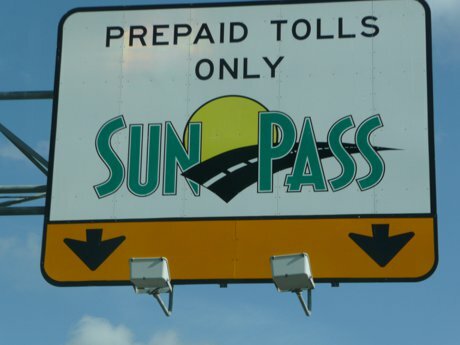 SunPass is the electronic prepaid toll collection system used by the state of Florida. A Sunpass transponder will work with all toll roads in the state and allows vehicles to pass through the toll booths at 25 mph. The system also uses "open road tolling", which doesn't require the vehicle to slow down at toll collection centers. Sunpass is a must-have for Orlando area commuters using the Greeneway (417), the East-West Expressway (408), and the Beach Line (528). Transponders can be purchased at Publix Supermarkets, CVS Pharmacies, and Triple A offices.